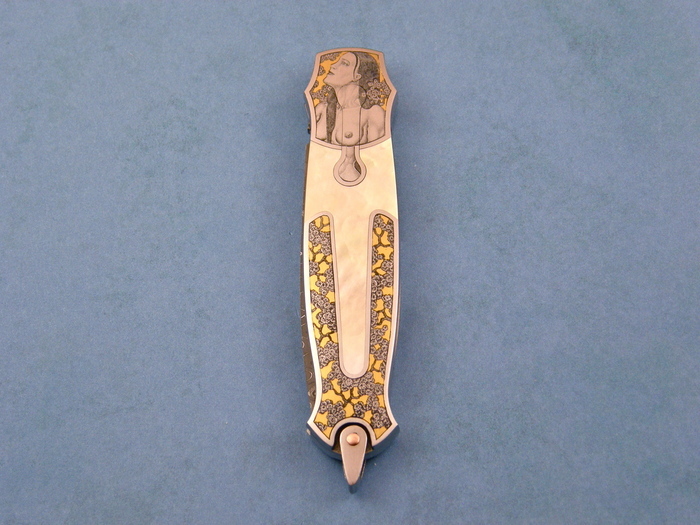 A beautiful Model 33 Dagger by Warren Osborne. 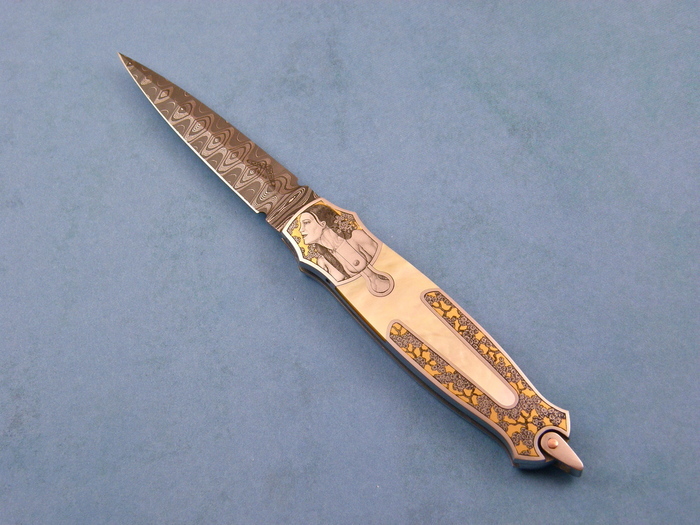 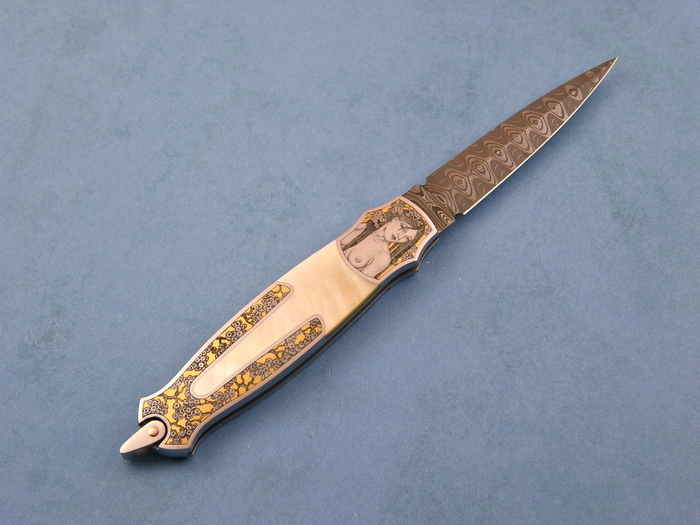 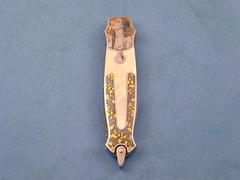 This knife has been nicely engraved in an Asian motif by Master engraver Jon Robyn. It has very nice and fiery Gold Lip Pear handles and Mike Norris Ladder pattern Damascus.